I’ve long been a pushover for jazz flute, so reading in this CD’s notes that the flute has largely replaced the clarinet as the main doubling instrument for saxists really caught my eye. Mark Weinstein was originally a trombonist and heavily involved in Latin jazz in the 60s, but like a number of jazz musicians he eventually became disillusioned with the music business and went into other pursuits. The imaginative and creative lines played by Weinstein on these ten tracks show that he is a specialist in the flute – not just a musician who picks it up once in a while. He has a lot of little melodic twists that add interest and contribute to the rhythmic propulsion. He plays the album’s title tune by Monk on the bass flute – I’ve always liked the rich sound of that instrument, and Weinstein plays it beautifully. Other jazz classics here come from Sonny Rollins, Wayne Shorter and Matt Dennis, plus three Weinstein originals. The combination of flute and guitar is a good one, which works just as well in jazz as it does in classical and ethnic music. 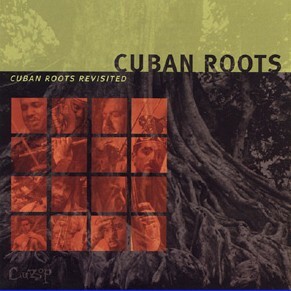 Jazz flautist Mark Weinstein is best known for his extensive body of work in the Latin jazz genre, which has always been an essential element of his music once stating “My music is rooted in deep Cuban folkloric traditions.” This latest release breaks with that tradition vigorously demonstrating his more than capable chops with straight ahead bebop jazz. Weinstein lays the foundation for an impressive musical portrait by assembling a canvas of all-star musicians including guitarist Dave Stryker, bassist Ed Howard and drummer Victor Lewis. This is however, Weinstein’s show and he proceeds to put on a superb performance right from the opening “Loverin'” track where he delivers a furious solo and continues throughout the album playing soprano, alto and bass flute. 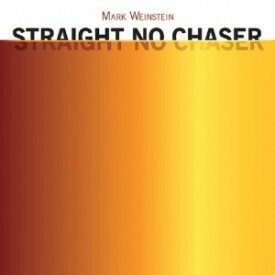 Other noteworthy contributions here include the Kaper %26 Webster standard, “Invitation,” and the Matt Dennis chart “Violets For Your Furs.” Kudos to Mark Weinstein for “Straight No Chaser” is another winner of a recording sure to attract more critical acclaim for a jazz legend in the making, if he’s not considered one yet. Guitarist Dave Stryker lends both tastefully restrained fretwork and this composition to flutist Mark Weinstein’s latest album. On this lovely, minstrel-inspired ballad, each band member is allowed to stretch his harmonic concepts. Bassist Ed Howard puts in a flowing solo followed by Stryker’s tender acoustic guitar rendering. The format of guitar, flute and bass has a somewhat medieval quality, and when Weinstein’s airy flute enters the fray he extends the fairytale feel. Victor Lewis gently pushes the tune along with sparse but tasteful use of a subdued marching snare and shimmering cymbals work. When Lewis is set loose toward the close of the song, he responds with consummate taste and style. This almost-baroque composition is an unusual vehicle for these musicians, who can easily let fly on more up-tempo material. But it is a perfect showcase for Weinstein’s pristine tone and the band’s astute ability to adapt to the context of their material.